"Model: IP489X. 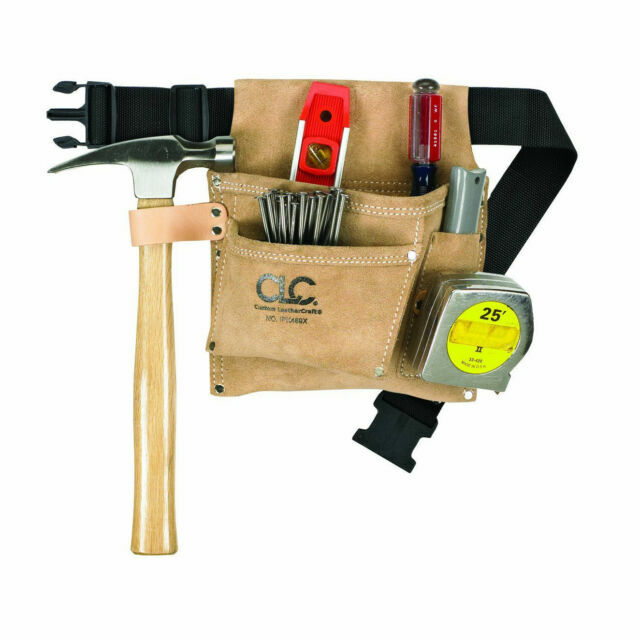 Have your tools and accessories handy with this 3-Pocket Nail and Tool Bag with Polyweb Belt (IPK489X) from Custom Leathercraft. Made of heavy duty suede leather, it has 2 main nail/tool pockets and a smaller pocket to hold pliers, nail sets, pencils, etc."